I have an important topic to talk about with the men today, but I think it definitely applies to us all. You may think about all the questions someone ask you when you first meet them. The questions they ask in order to get to know you. Are you married, and do you have kids? These are all things about you, but it is not who you are. It’s not what defines you. Who you are and what defines you is told by how you think and operate on the inside. These are the things that most people don’t see on the surface when they ask the “get to know you questions,” but these are the things that matter. To get a little more specific, what I am referring to is your character. “Character is the moral and mental features that define a person, whether good or evil. The term also means moral strength, which Scripture regards as something to be highly valued.” ~M. H. Manser, Dictionary of Bible Themes. 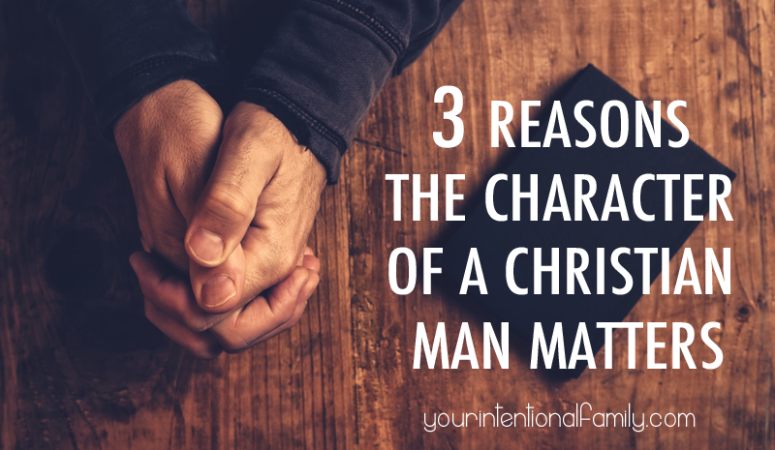 The character of a Christian man matters. 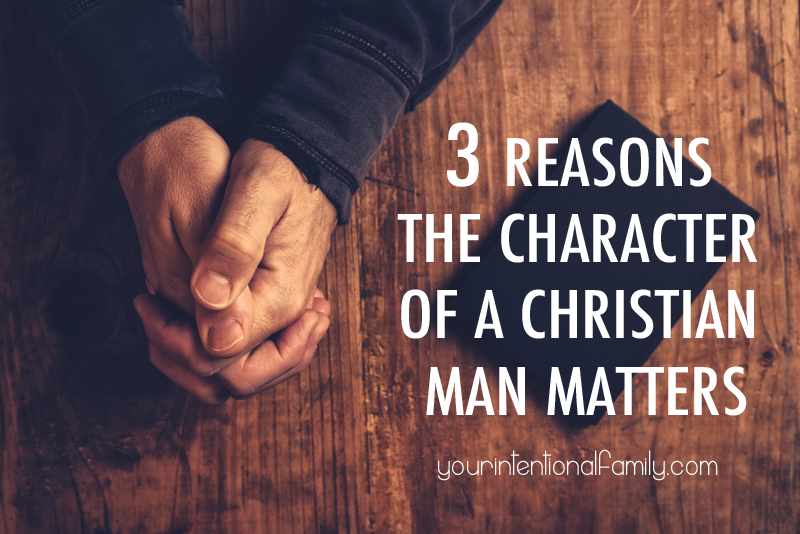 Your character matters to God, it matters to your family, and it matters to your witness. We see the high status God puts on character in the passages of 1 Timothy 3:2-7 as well Titus 1:6-9 in the description of the qualification of elders. There is so much to be drawn from these passages and so many applications to our lives, but these passages are great tools for helping reveal our true character. 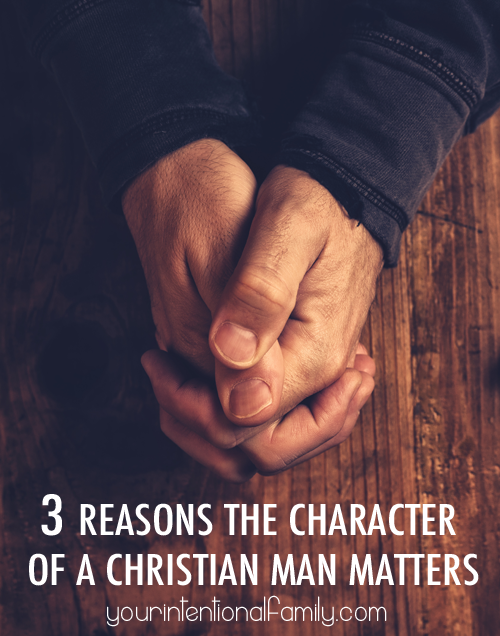 We should aspire to this kind of character talked about in these passages as men of Christ regardless of what positions we hold in the church. The truth is that God’s love for us is a free gift that we cannot earn regardless of our character, but it is an opportunity to surrender our lives over to be used by God. We see time and again throughout the scriptures that the things of importance to God are in stark contrast to the things of this world, and I want to challenge your thinking on what defines you. Is your character formed by the values and demands of this world, or by the word of God? I don’t ask that question in judgement. I find myself too often evaluating my worth and status by the wrong scale, but the truth remains, and I believe we all could use the gentle reminder, that God’s character is unchanging, and that He longs for us to align with that character for His glory and our good. What matters most to a person comes out in their lives in a variety of ways, but if you get a window into someone’s life, and watch closely, and for long enough, his or her true character will show. We see this come through most clearly in times of inconvenience, suffering, and less than ideal circumstances. When push comes to shove, your true colors will get revealed in how you respond to a situation. Who do you has the best window of visibility into your life during the good, the bad, and the ugly? Your family. The ones that are barricaded within the walls of your home, and that it is just a bit harder for you to hide your true self from. 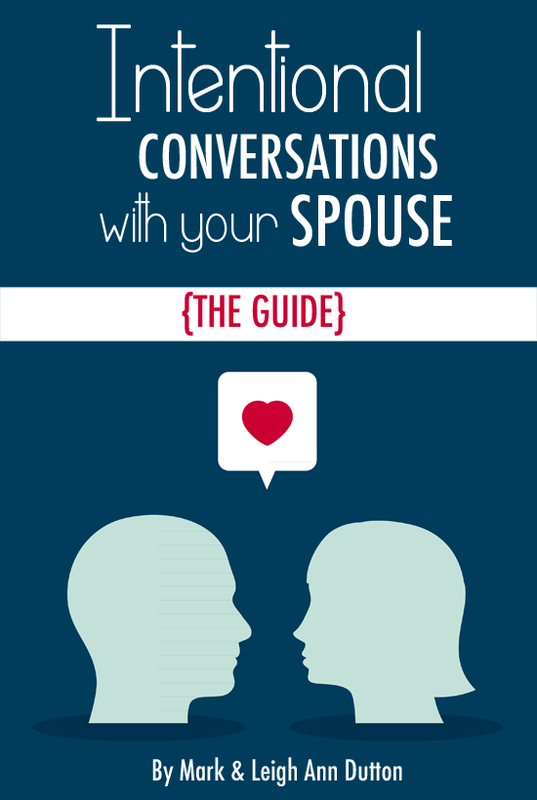 The circumstances of marriage and parenting have a powerful way of bringing out and developing our character. I don’t think I have to explain this too much for you to follow my train of thought. Let’s suffice it to say that the way you handle the stresses of life within your home matters. What defines you will impact what defines your children. Whether you exemplify faith or frustrated entitlement will speak volumes to your children and to your wife. The character of a leader matters because it acts as a compass for those they lead. Is your character demonstrating what you want your wife and children to imitate? When you put your character rooted in your faith in Christ first, you will stand out in this world. It will cause you to make some tough choices and to explain yourself when you go against the flow of what is considered normal. It is a hard thing to do, but focusing your growth more on godly character than on your skills, will be a powerful witness for Christ. Who you are outside of your home matters, because a man of great character will effect more souls for the Kingdom of God than one of great skill ever would. Let me apply this to the topic at hand in the clearest way I know how. Character is something that is constantly developing in us. How we respond to our sufferings and circumstances will impact our ability to stand under the pressure of these things in the future, i.e. our endurance. We need endurance because Satan is unrelenting. As we grow in endurance, we will grow in godly character, and godly character produces hope. A hope you can live by. When we simply live in the peace and hope we have through Jesus Christ, we find that all the other character traits fall in place. Your character will show your family what you trust in, what you rest in, and where you draw your strength from. Accept the great task given to you to lead and guide your family, by being a man of godly character. In reflection of the passages shared in this post, what are three areas of your character that you believe need refining? 3) Choose a verse for each to memorize and apply daily. Finally, as we all go about our lives, let’s start encouraging character more than skills and talents. In our homes, in our churches, and in the world around us as we shine the light of Christ. What is an Intentional Family? This post contains our affiliate links. See my full disclosure policy here. Mark is a disciple of Christ, husband to his best friend, Leigh Ann, and father to two awesome little boys, Samuel and Timothy. As an outdoor enthusiast he has way too many hobbies, but especially enjoys cycling. 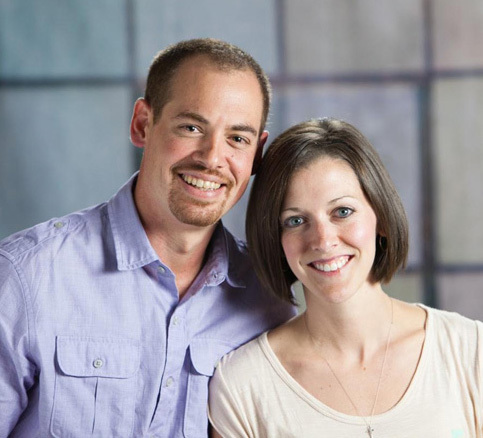 Currently a student at Liberty University, he is pursuing his M.Div in Leadership, and transitioning from his past career in medical devices to ministry while running YourIntentionalFamily.com and IntentionalByGrace.com with his wife Leigh Ann.